Under the Old Covenant, there was priest after priest after priest who continually offered sacrifice after sacrifice after sacrifice - all of which could never do a thing to make anyone perfect! The reason many priests were needed is because they were prevented by death from continuing on. So no perfection could come from the Levitical Priesthood. 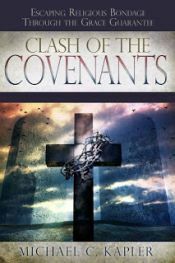 One reason the New Covenant is different - and better - and in fact does away with the Old Covenant, is because the Priesthood is "according to the power of an endless life," referring of course to the life of Jesus. While no one could be made perfect or right through the many sacrifices performed under the Old Covenant Levitical priesthood, through the one perfect sacrifice of Jesus we have been perfected forever.